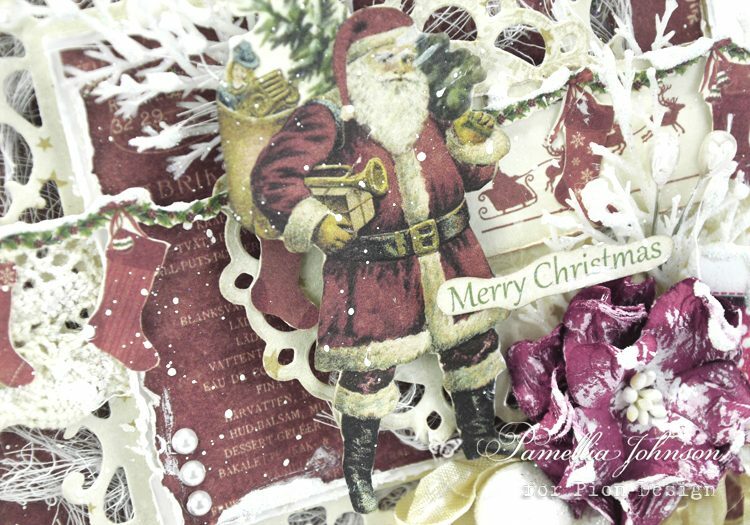 Hello everyone, Today I’m sharing a more traditional Christmas card featuring the Christmas collection The Night before Christmas. I was inspired by the vintage images that seemed to have jumped right out of the poem! So festive! Hi Pamellia, what a wonderful christmas card design. I love the Santa and all the lovely deco. The colors are great too.